2mm North East Area Group: 0-6-2t Progress report. Alright, this is the little beastie that the chassis is going under. It is a London & North Eastern N10 0-6-2t. 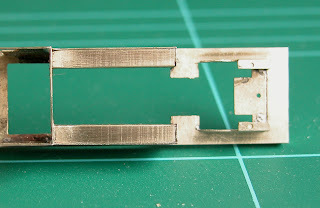 Yes I know there are no trailing wheels yet but the chassis that has been used was not designed for the N10 so the trailing wheels will........well - come along afterwards. After I figure out how to attach them so they can add to the current pick up. The start point of this little loco is the N8/N9 etches which the late George Norton allowed me to shoot down to 2mm some years ago. With these 'aids to scratch building' etches the boiler and anything that might have come as a casting has to be scratch built, all the builder gets is whatever was produced in the flat. That said, it still speeds up the process of loco building. I have already built the N8 0-6-2t which can be seen often scurrying about its duties on Wansbeck Road but this is just a project to see how the Nigel Lawton midi motor would fit. Up to now I'm really pleased with it. I can have complete daylight through the cab mounting it this way. The only drawback is a little of the motor will be able to be seen just ahead of the side tanks and slightly lower down than the boiler. I can live with that in the interests of having an empty cab...! Anyway, here are the pictures. There is a little bit of a story relative to the smoke box (bottom picture). 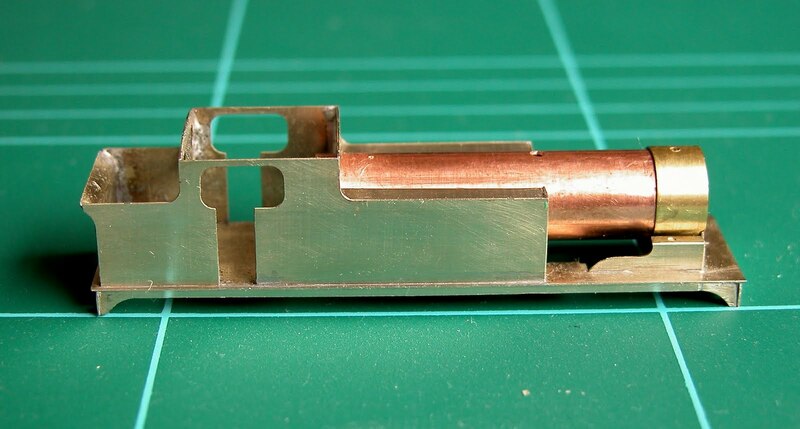 The etched front should be soldered to the boiler front with a little overhang to accommodate a smoke box wrapper but I decided to do it differently and machined a brass one which would be a good interference fit over the boiler. 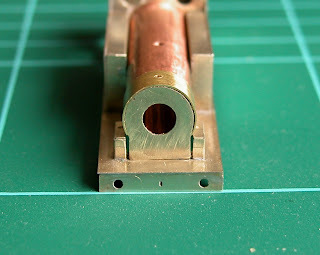 Consequently this front now fits inside the machined smoke box wrapper and needs to be filed a bit to get it to fit. As you can see on the front end on shot I over did it at top right of the boiler. It will fill with Milliput.....! The gaps either side of the sandboxes in the shot above exist because I moved said splashers out to avoid any chance of a short circuit, something that needs to be watched when using 'shot down' etches from the larger scales. The boiler, which as you can probably see is just a bit of domestic copper pipe, isn't fixed at this stage that's why the gaps are not equal.